As leaked previously, the first day of the Steam Summer Sale really started today on June 19th. And with the start of the sale, the rush on the servers has begun too. There are so many people rushing on the Steam website that several people mention that they can´t browse the store and that they can´t even log in to Steam. It might take a while until the first rush ends. There are some web tools that might help you to keep track of the Steam sale. You can use SteamDB to keep track of the sale. You can check the Steam price history. Find out about games with region restrictions. 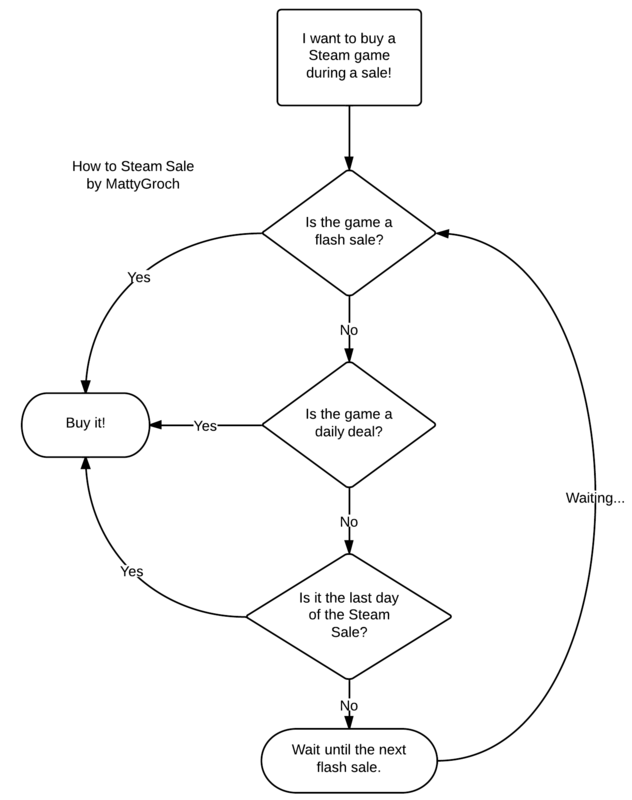 If you don´t know if you should buy a game or if you should wait, someone created a nice flowchart. You might also want to check out the Steam forums or the Steam sub on Reddit, to get connected with other experienced players, in case you have questions. So, let´s see what else we will get offered over the days.